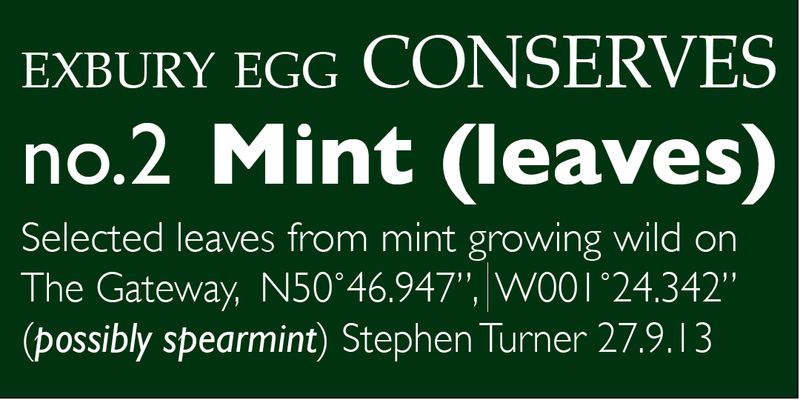 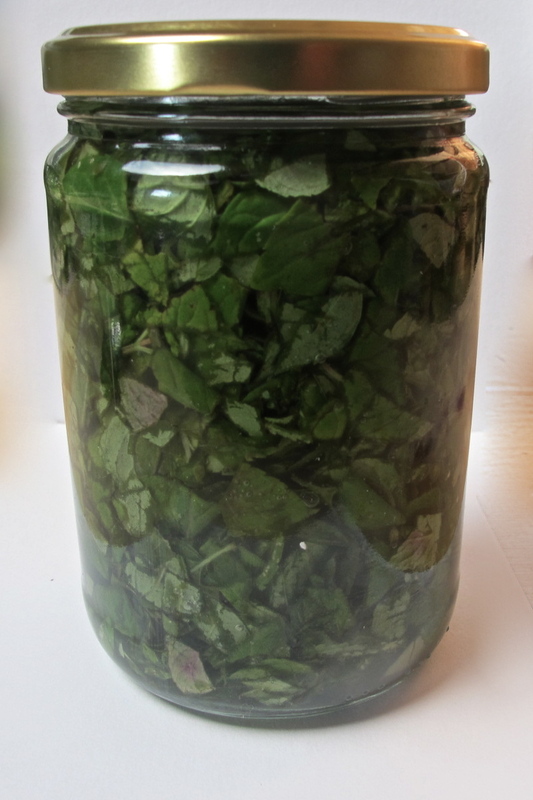 Sauce from freshly cut late flowering mint was prepared and bottled for the Exbury Egg Kitchen. 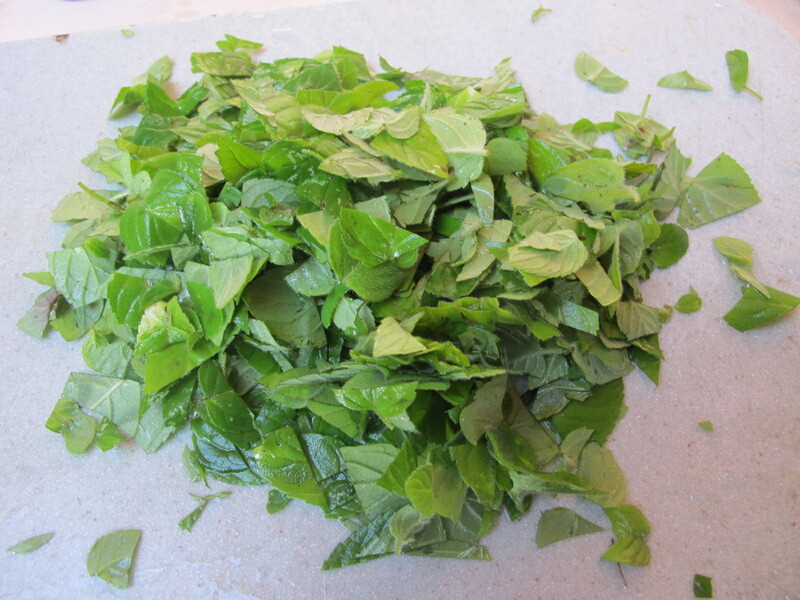 Leaves were washed, chopped and added to water, salt, white wine vinegar and caster sugar in the following proportion: 1 bunch of mint , 1 pinch of salt, 4 tablespoons of boiling water, 4 tablespoons of white wine vinegar, 1 level tablespoon of caster sugar. 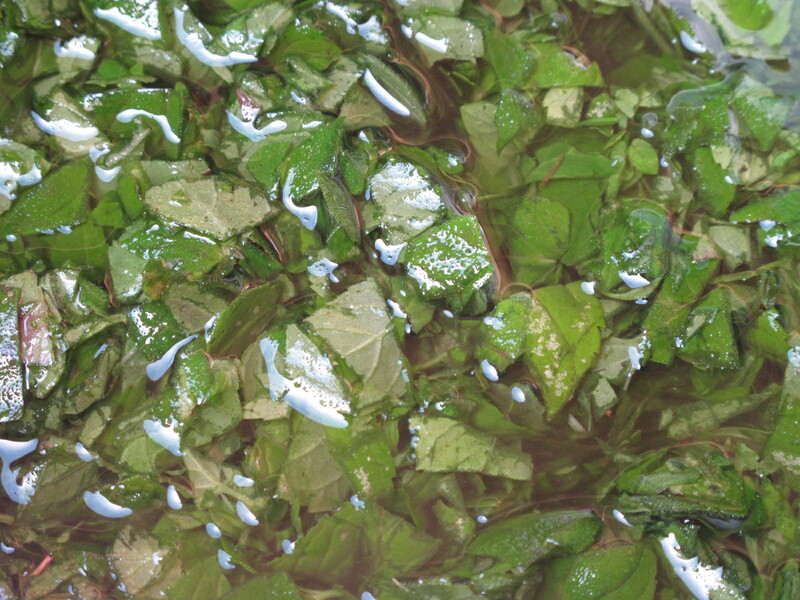 It was a relaxing task after doing the laundry on this warm autumnal afternoon beside the river.